Every year the highly anticipated Christmas dinner comes around, bringing Christmas cheer, laughter, and of course, food and wine. 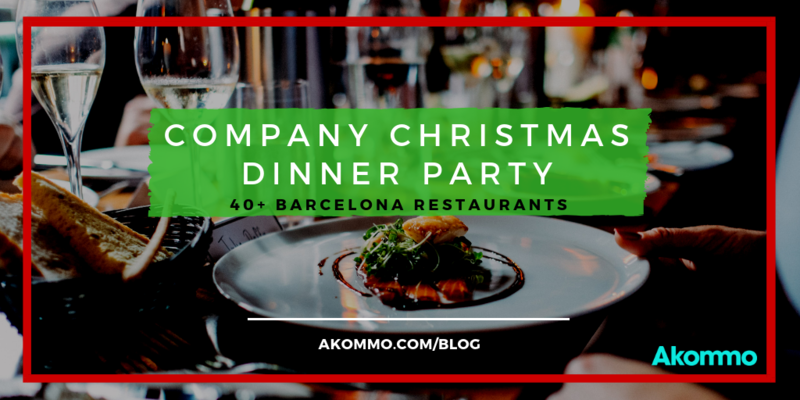 It's a struggle to find a list of various company Christmas dinner menus in Barcelona, so we decided to create the most extensive list of 2018. Ladies and gentleman, put your procrastination to a stop and book your Company Christmas Dinner in Barcelona at any of these 40+ wonderful restaurants. You will find the restaurant location, price range, group minimum and capacity, and menu availability, from the most affordable menus to the "we all hit our annual targets" price range. Try not to drool all over your keyboard at work. Where: Carrer de la Marina, 19-21, on the boardwalk of Barcelona, just moments from the beach, in the famous 5* Hotel Arts. Call +34 932 21 10 00 to make a reservation. When: Their Christmas menu for groups is available during the month of December, though it's already full from the 11th to the 19th. 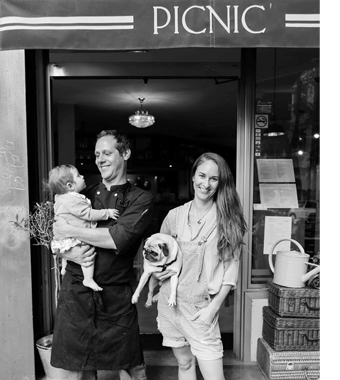 How much: Their menus range from 50€ to 120€, depending on whether you order drinks or not. From some of the most traditional dishes like bravas and croquetas, to sirloin with foie, you certainly won't be hungry after eating at Arola. How many: Groups of 8 or more can enjoy this dinner. What to expect: We listed this restaurant first because we actually had our Christmas dinner here last year, and it was fantastic. We spent almost 4 hours in the restaurant enjoying their Mediterranean cuisine, sipping on fine wine and cava, and enjoying their outrageous cocktails. Not to mention, the service is everything you would imagine from a 5-star Ritz Carlton Hotel. Where: Carrer d'Aribau, 179, located right near the upscale shopping street, Avinguda Diagonal. 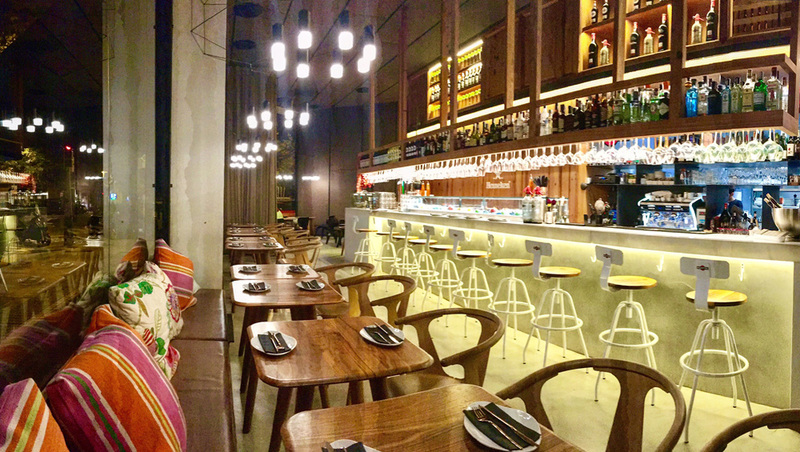 This brand new gastrobar is spacious, rustic, and stylish. Call +34 657 56 99 75 to make your team reservation. When: Their special menu for groups and companies is available year round. How much: For just 30€ you can enjoy a wide variety of Mediterranean dishes, including freshly-made hummus, tuna tataki, followed by a warm risotto or salmon teriyaki, and dessert. Wine and drinks are included. How many: This menu can be enjoyed by groups of 10 people or more. The maximum number of diners you can have in Yellow Door is 35. What to expect: Brand new to the city, Yellow Door is excited to finish up 2018 by celebrating with you and your company. With a warm, rustic atmosphere, delicious Mediterranean dishes, and a wide variety of wines and cocktails, this will make for a fun Company Christmas indeed. Where: Plaça del Dr. Letamendi, 27, located just at the corner of one of Barcelona's most charming streets, Enric Granados. Call +34 934 51 16 41 to book your special group menu today! When: Telefèric has special group menus all year round that you and your company can enjoy together. How much: They have a few group options that range from 35€ to 60€ per person, and it's worth every cent! The first two menus are tapas-style, with a few tasty dishes to share amongst your group, followed by dessert and include wine. The 60€ menu includes tapas as well as a main dish to share, and also includes wine and drinks. How many: You can fit a group of up to 60 people in this restaurant. 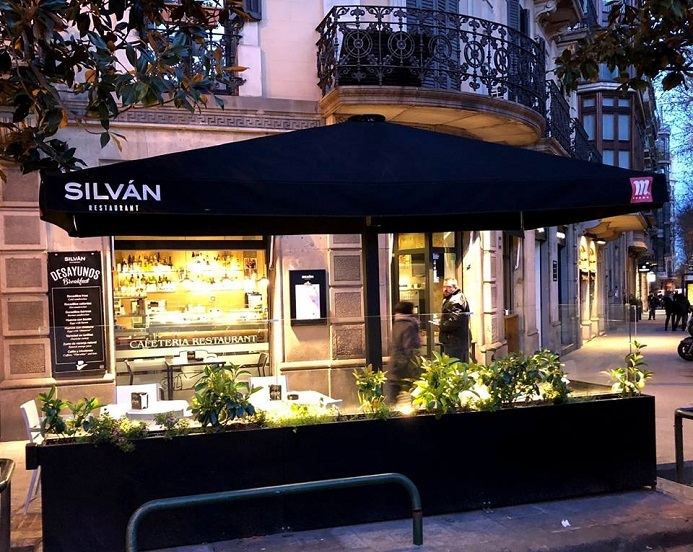 What to expect: Originally starting in the village outside of Barcelona, Sant Cugat, as a pinchos restaurant, Telefèric has expanded into 4 different restaurants, including one in San Francisco, CA! Expect to enjoy tapas, great wine, and wonderful service. Where: Carrer del Rec Comtal 17, attached to the new Hotel REC, located just moments from the iconic Arco de Triunfo. Call +34 935 14 00 50 to get your table before they're all booked! When: Their Christmas menu for groups is available starting now until the end of December. How much: Fismuler Barcelona has a special group menu for just 45€ per person for 6 plates to share, including cod tortilla espanola, cockle and mushroom rice, chicken wings with truffle sweet potatoes, and a handful of other creative dishes, as well as dessert, bread, water, wine, and aperitifs. The other menus include 7-8 dishes to share, and a few extra desserts for either 49€ or 55€ per person. How many: The minimum for groups is 12, and the maximum capacity of the restaurant is up to 70 diners. 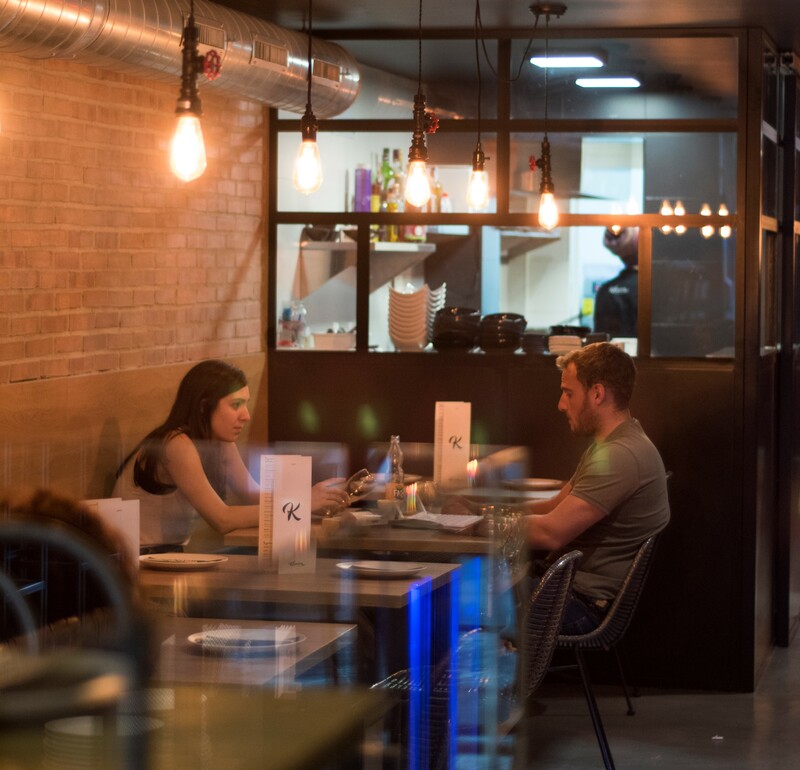 What to expect: From warm wooden tones to cool, industrial vibes, the atmosphere in this restaurant is something you and your team will never forget. This new restaurant has become one of the most popular and well-known in the city in under a year. See what everyone is raving about and book your team dinner here! Where: Paseo Joan de Borbó 60, right along the famous promenade in the fisherman village, La Barceloneta. Call +34 936 25 35 33 to make a reservation. When: Their Christmas menu for groups is available for the entire month of December. How much: You can enjoy your Company Christmas Dinner starting at just 40€ per person with a few starters to share, a main dish, dessert, and wine and water included. The other option is 50€ and includes an extra starter as well as a some incredible wines. How many: The max capacity for the restaurant is 80, but you can fit a group of 65 into just one dining room. 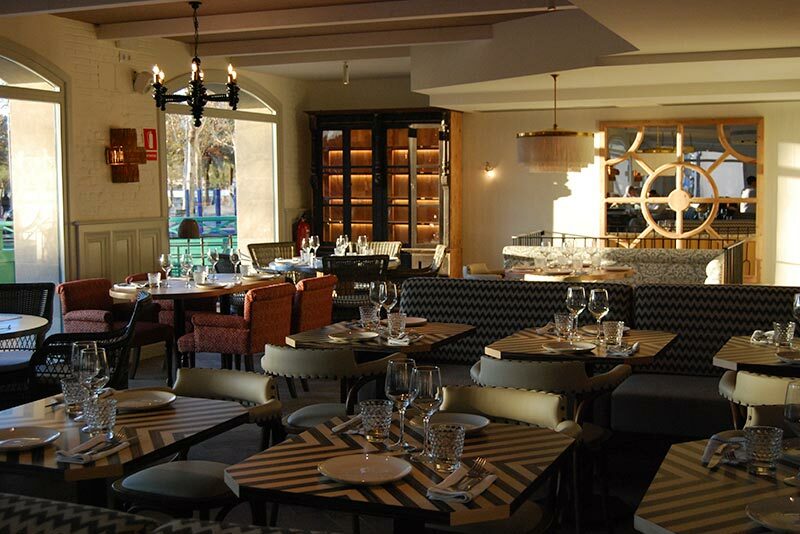 What to expect: You'll be treated to some of the best wine, freshest seafood, and most flavourful tapas in the city, all just next to the beach. Not to mention, after dinner this restaurant turns into a club and you can even hire a DJ for your private Christmas Dinner afterparty! Where: Carrer de Mallorca, 275, located in the neighbourhood La Dreta De L'Eixample. 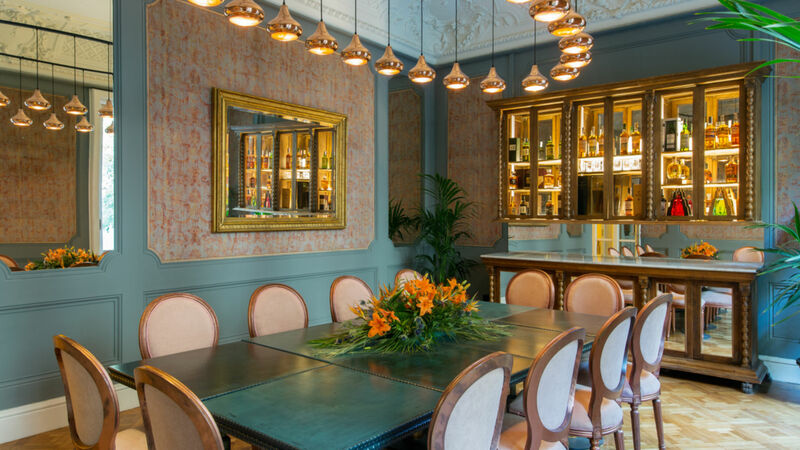 This chic and regal restaurant has various private spaces for your group dining. Call +34 937 64 89 52 to make a reservation. When: Their Christmas menu for groups is available until December 30th, 2018. How many: The minimum size for groups is 8, and the maximum size to use the entire main dining room is 70 people. What to expect: Rilke Barcelona is headed by Rafa Peña y Jaime Camacho, who prepare traditional Catalan dishes with a refined twist. They use fresh, seasonal products, and offer some of the most stunning spaces for private or group dinners. Be sure to try their signature cocktails! Where: Via Laietana, 49, located in the iconic Hotel Ohla on Via Laietana. Call +34 935 04 51 00 to make your group Christmas reservation! When: Their special menu for groups is available all year round, thought they tend to have special menus for Christmas Day and New Years Eve. 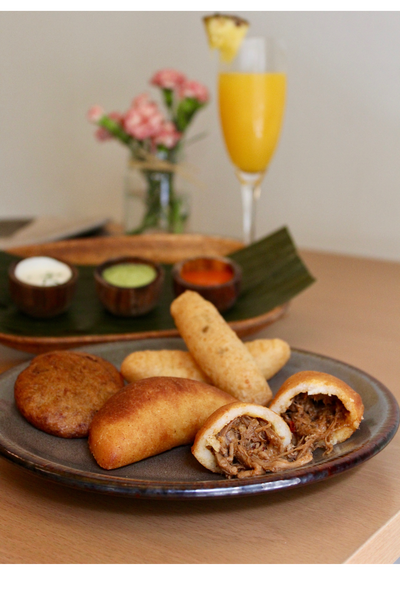 How much: With group menus starting at just 38€ per person, you'll enjoy a variety of cold starters such as artisan cheeses, then more hot dishes like meat empanadas and croquettes, followed by dessert. Click here for the full menu options. How many: This menu is available for groups of 10 people or more. What to expect: This restaurant has some of the most unique and attractive decoration and dishes in the city. The service is friendly, the dishes are presented beautifully, and the wine pairings are exquisite. Definitely make the most of your group dinner here! Looking for an even larger-capacity restaurant for your next corporate dinner? Send your event requirements here and we'll provide you with free venue proposal options. Where: Carrer del Bruc, 46, right in the Eixample Dreta neighbourhood in Barcelona, just moments form the city centre. Call +34 930 07 46 43 to book your reservation today. When: Their Christmas menu for groups is available from now until the 23rd of December as they are closed on the 24th, 25th, and 26th. How much: The menus start from just 28€ per person, and they even have options for vegan Christmas dinner menus! The welcome drink, a starter, a main, and pecan pie with buttermilk ice cream, plus water and a glass of wine is included in the price. 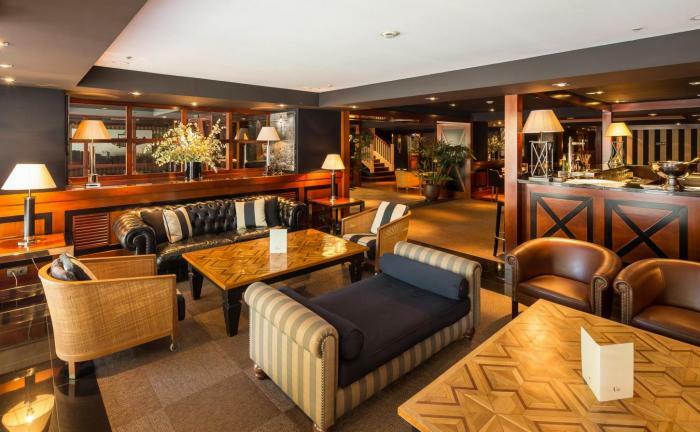 They also have a Christmas Dinner Party option, where you can rent out the restaurant, set up a photo call, Christmas decorations, open bar, name placements, a welcome cava, and an afterparty until 03:00 with a DJ included for just 46€ per person! How many: The minimum number of guests is 10 people, and the maximum number is 70 people, depending on the format. What to expect: If you want to go all out this year, we recommend choosing their Christmas Party option, where they will take care of all of the details for you, including decorations. This Southern American-inspired restaurant offers dishes like ribs, hushpuppies, fried green tomatoes, and even crab cakes! Where: Gran Vía de las Corts Catalanes, 375-385, located in the shopping centre, Cúpula Las Arenas, this restaurant has incredible views of Plaza Espanya. When: Their dinner menus for groups are available all year round. They also have special menus for Christmas Day as well as New Year's Eve. How much: Abrassame Restaurant offers a few menus for groups, starting at just 32.50€ to 52.50€ for their most expensive group menu, which includes 4 starters to share with your group, as well as a main dish, a dessert, as well as bread, water, and a bottle of wine for each 3 diners. How many: The minimum number for a group is 12 diners. The maximum capacity of the whole restaurant is 220 diners. What to expect: Expect to enjoy carefully crafted Catalan cuisine (say that 5x fast) with some of the most stunning views of the famous Plaza Espanya. Headed by Chef Philip Bonastre, this restaurant is an incredible option for group dinners in Barcelona. Want to design your own Company Christmas Party in Barcelona? We can help you find the perfect venue at no extra cost to you and your team. Where: La Rambla, 109, on the famous Rambles Street in Bareclona in the Hotel 1898 you can find this warm and welcoming restaurant. Call +34 935 52 95 52 to book your Christmas Dinner table! When: Their Christmas menu for groups is available for the month of December. How much: There are various ranges for their special group Christmas menu that can range from 51€ to 59€, including starters to share, a specific main dish, and a dessert per person, plus water, wine, a glass of cava, coffee and tea. How many: In order to enjoy this delicious group menu, you'll need to be a group of at least 10. The maximum number of people that can enjoy the menu is 60. 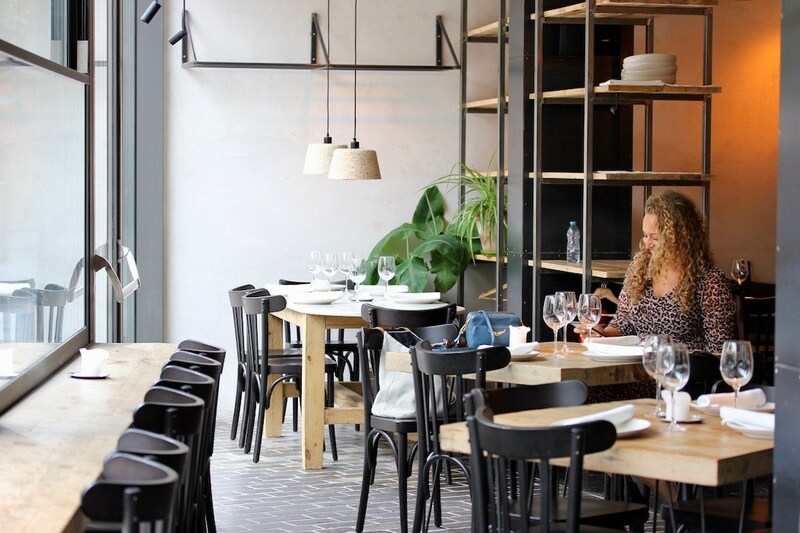 What to expect: This stylish new restaurant in Barcelona is an ideal spot for a medium to large-sized group who wants to enjoy a wholesome meal together. Be sure to ask the hotel about the story of the hotel and restaurant, or you can read about it here! Where: Carrer Comte d'Urgell, 232, located right in the centre of Barcelona city. Call +34 93 322 41 53 to make your group reservation today! When: Their Christmas menu for groups is available from now until the end of December. How much: For 4 appetizers, a starter, main, dessert, (traditional desserts such as nougat, "polvorones", and "neules"), wine, water, bread, and coffee you'll spend around 42€ per person. The less appetizers, the more affordable the menu. How many: This menu is available for groups of 4 or more and up to 30. What to expect: This is a reasonably priced option for a company looking for dinner with quality hotel service, traditional Catalan specialties, and a central location. The warm wooden decorations will make you feel like you're right at home. Where: Carrer de Còrsega, 289, located within the 5-star hotel, Hotel Ohla Eixample. Call +34 937 37 90 80 to make your special reservation! When: The Xerta Christmas menu for groups is available from the 11th of December until the 21st of December. They also have special menus available for St. Stephen's Day as well as New Year's Eve. 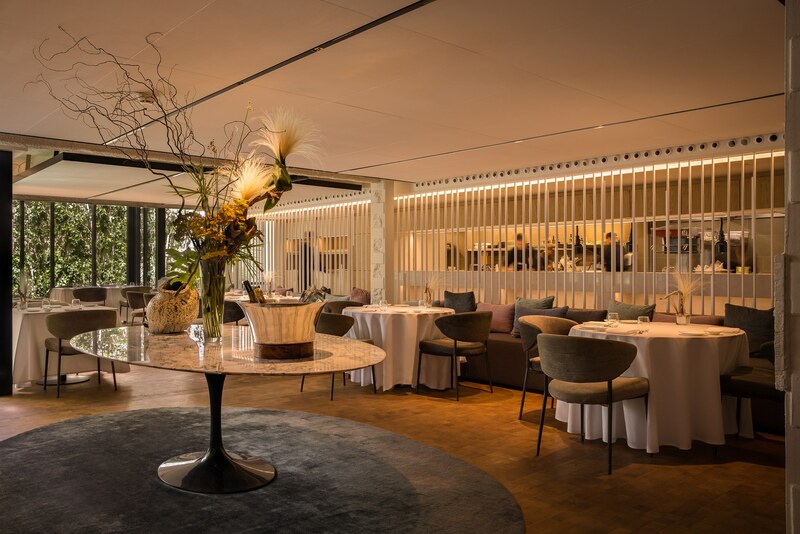 How much: There are menus available to enjoy starting at just 55€ to enjoy a 2-star Michelin restaurant! The most expensive menu is 76€, which will include full wine service, an aperitif, 4 different dishes to try, 2 different desserts, as well as bread, water, and homemade candies. You can find all of their menus here. How many: This menu is available for groups of 4+, and the maximum capacity of the restaurant is 45 people. 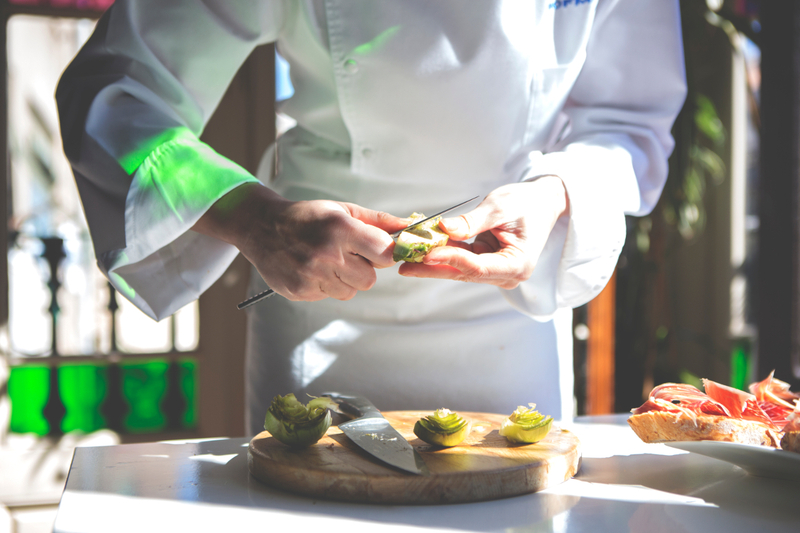 What to expect: Prepare yourselves to enjoy the magical gastronomic experience that is Xerta in the famous Ohla Hotel. You will receive the finest service, incredibly flavourful dishes paired with exquisite wine, and a festive Christmas atmosphere. Where: Carrer de Balmes, 47, in the "golden square" of the Eixample neighbourhood. When: Their special menu for groups is available all year round and changes seasonally. How much: These spectacular menus range from 55€ to 90€ per person, depending on the menu you select. The attention to detail can be noticed in each one of these menus. How many: You can order the group menu from groups as small as 4 to up to 40 diners, and you can even use their multimedia equipment should you need it. What to expect: Wooden hues and green accents are scattered about the restaurant all throughout, making this a modern and relaxing environment to enjoy a group dinner in Barcelona. They have a total of 4 different rooms that you can reserve privately. Where: Carrer de Balmes, 129, just between the city centre and the famous Diagonal Avenue in Barcelona. Call +34 934 51 54 00 to make your reservation as this place fills up with groups fast. When: They have special group menus available all year, and they also have special menus for Christmas, St. Stephen, or the 25th and 26th of December. How much: They have a wide range of group and Christmas menus, starting at 22€ and reaching 35€ per person, for a 3-course meal, with wine, drinks, coffee, and bread included. 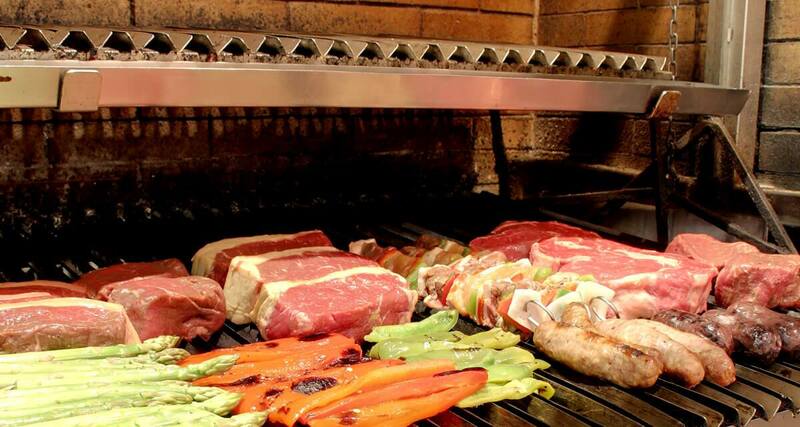 You can order a traditional "parrillada" or an assortment of grilled meats and vegetables. How many: For groups starting at just 4 people, you can enjoy this delicious Christmas Dinner in Barcelona. The maximum capacity for groups is 120 people. What to expect: This spacious restaurant is warm, inviting, and has a modern feel to it. 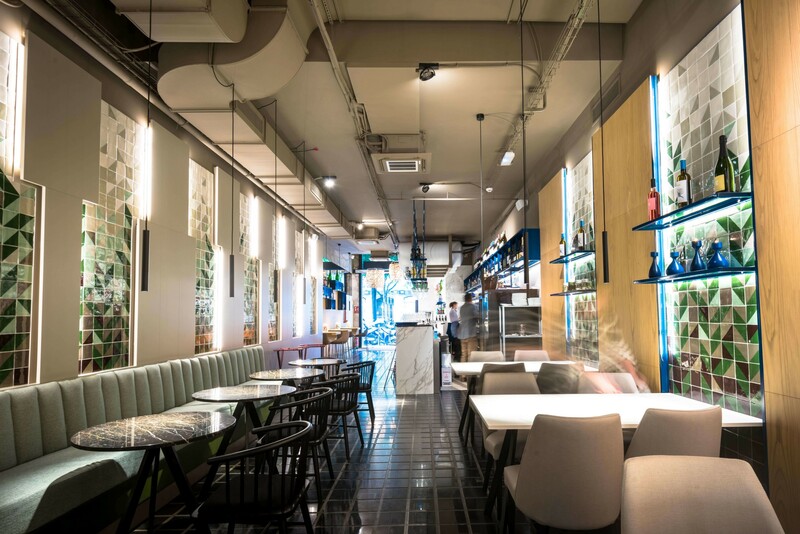 The restaurant is distributed into various spaces that are all connected, and you'll truly feel the family dining experience here. Where: Carrer de Muntaner, 212, next to the iconic Diagional Ave in Barcelona and the business district. Call +34 931 37 01 48 to book your tasting group menu! When: Their tasting menu for groups is available all year! They also have a special menu for New Year's Eve on the 31st of December. How much: They offer 2 incredibletasting menus for 37€ or 45€, which includes a bottle of wine for every 2 people, water, a wide selection of either 6 or 8 exquisite dishes, as well as 2 desserts. Their Barcelona New Year's Eve menu is available for 80€. How many: Groups of 8 minimum can enjoy this menu, and the maximum capacity of the restaurant is for groups of 50 people. 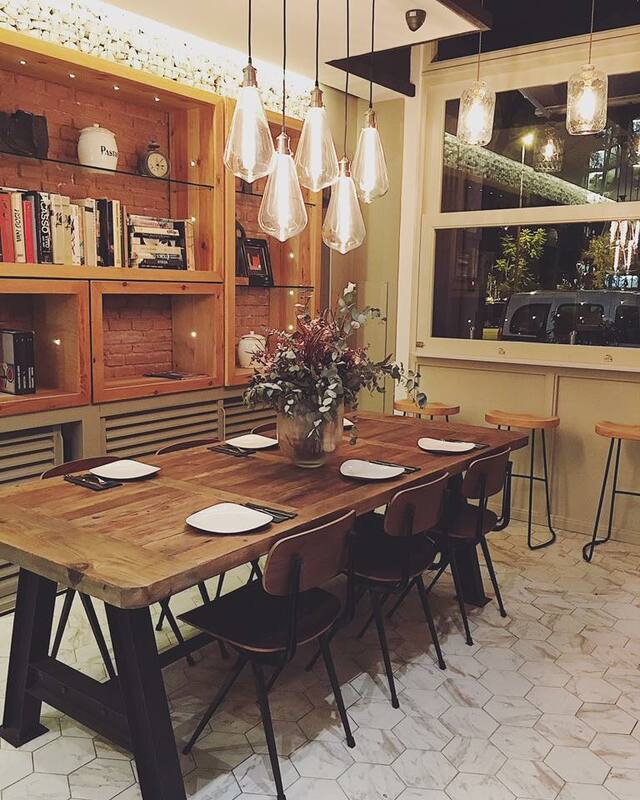 What to expect: This trendy restaurant is a great place to take your company for Christmas dinner. 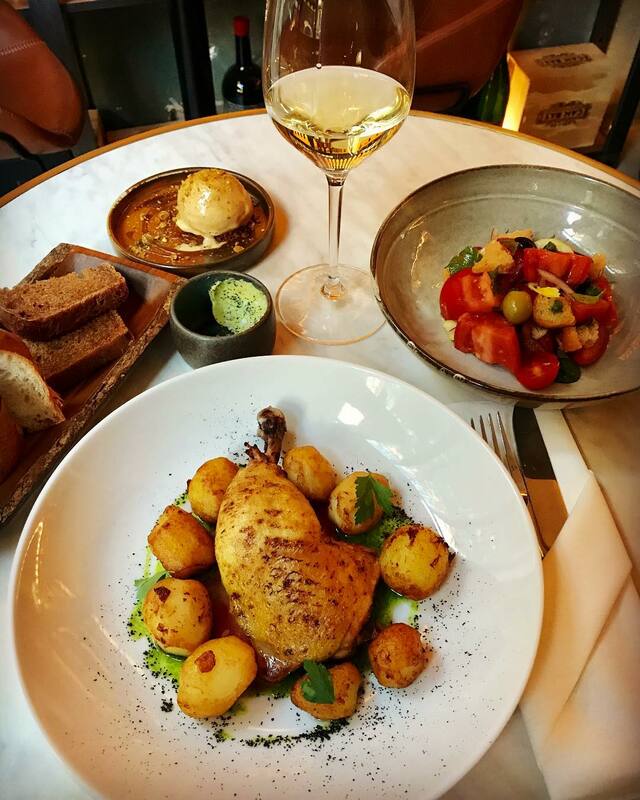 They have some of the finest Catalan small plates to share, an excellent wine and vermouth bar, and not to mention, their location is ideal to pop over directly from the office. Where: Carrer de Roger de Llúria, 100, in the Dreta de L'Eixample neighbourhood of Barcelona. Call this friendly crew at +34 934 57 57 75 to make a reservation for your Company Christmas Dinner. When: Their Christmas menu for groups is available from the 14th until the 23rd of December. How much: They have 2 distinct menus, the first priced at just 30€ per person, and the other 45€, which includes starters such as cured meats, followed by another round of Catalan tapas to share, a main dish, dessert, wine, and a welcome glass of cava. How many: The maximum number for large groups is 17. What to expect: This family style restaurant has been around for over 30 years preparing traditional dishes. They specialise in tapas, and both Catalan and Spanish dishes. It's a great option for a traditional Catalan dinner with a small group from work. Where: Carrer del Hospital 104, tucked away in the heart of the Raval neighbourhood is where you'll find this restaurant. Call +34 934 61 56 69 to make your Christmas Dinner reservation! When: Their Christmas menu for groups is available for the month of December, but they have group menus available all year round. 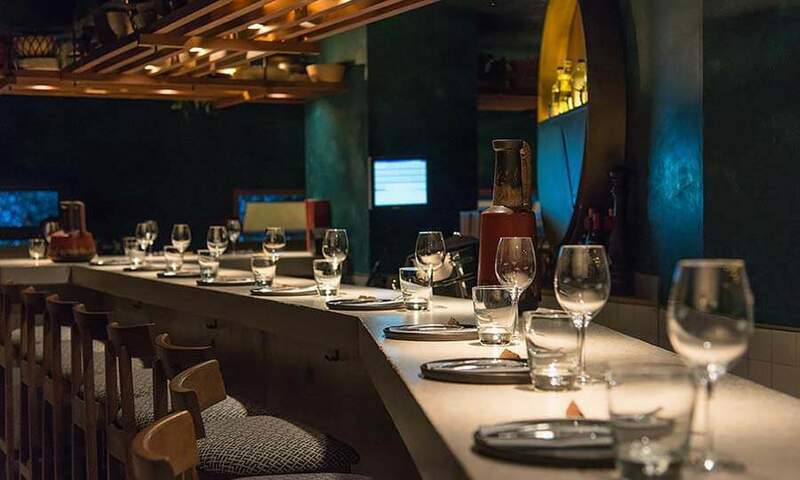 How much: Their wide variety of tasting menus, from both the Chaka and Khan levels of the restaurant starting at just 36.80€, which includes a tasting menu of 8 dishes from all over the world, 2 drinks per person, as well as dessert. How many: The minimum for these special group tasting menus is just 2 people! For cocktail, the total capacity is 130, for banquet, the capacity is 77, and you can fit 50 people on the terrace. This restaurant and cocktail bar is an excellent place to have a large party. 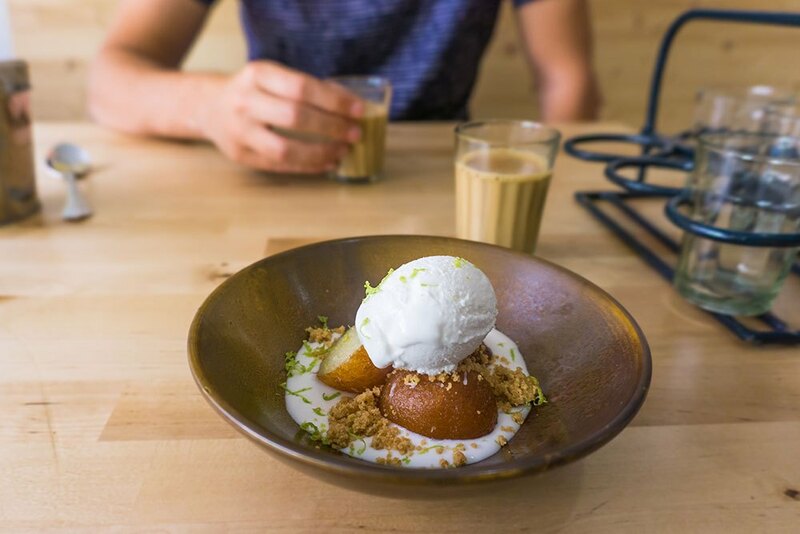 What to expect: With dishes from Laos, to Peru, to Iran and even Ethiopia, this restaurant is a beautiful mixture of cultures and cuisines. You'll be able to take a gastronomical trip around the world without having to set foot outside of Barcelona! Where: Passeig de Joan de Borbó, 101, located next to the famous W Hotel, this seaside restaurant is a great place to end the year. Call +34 683 506 547 to reserve your Christmas paella! When: Maná75 offers various menus for groups and businesses to enjoy throughout the year. How much: They offer a variety of group menus, with the most affordable starting at just 40€, and the most expensive reaching up to 62€ per person. This comes with delicious appetizers to share, paella, dessert, and wine included. The drinks are unlimited during the service as well! 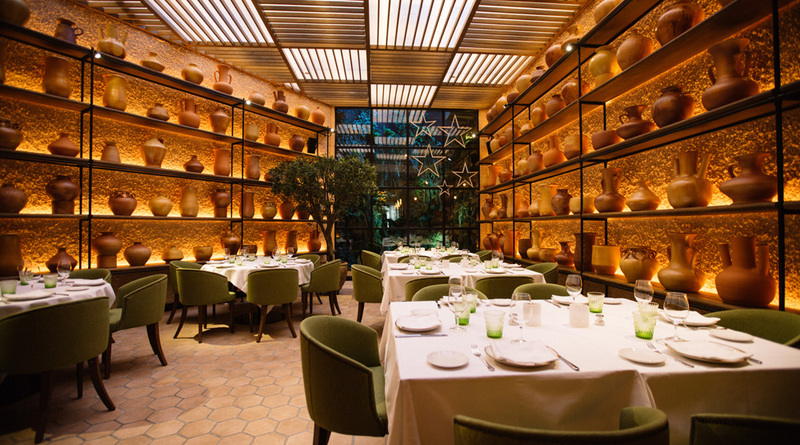 How many: You can fit up to 140 diners seated in Maná75, and the minimum number for group menus is 4. What to expect: Be prepared to enjoy some of the best rices and paella Barcelona has to offer, at an incredible price. This restaurant is spacious, beautifully coloured with soft pink and red tones, and has a display of 8 different paella pans every night! Where: Gran Via de les Corts Catalanes, 660, located on one of the busiest streets in Barcelona, just next to the city centre. Call +34 933 04 37 35 to make a reservation. When: You can enjoy this menu from December 3rd until the 21st of December. They also open on Christmas as well as St. Stephen's Day. How much: Their Company Christmas Menu is just 37€ for a tasting of typical Argentinian starters, followed by a meaty main dish, dessert, as well as a bottle of Malbec for every 2 diners, water, coffee, and a glass of Cava Codorniu. How many: The minimum number for groups is 6 and up. What to expect: If you and your team LOVE meat, this is an incredible option to enjoy a traditional Argentinian cookout. Patagonia Barcelona has gained a reputation for being one of the best restaurants for steak in the city. Where: Carrer de Còrsega, 200, tucked away in the area of Hospital Clinic in Barcelona. Call +34 934 53 20 20 to reserve a treat for you and your team. When: Their special tasting menus are available all year round. How much: For just 75€ or 120€ per person, you can try some of the most exquisite dishes this city, such as cannelloni, sea scallop, hake, crema catalan, and more. How many: There is no minimum number of diners to enjoy either of these tasting menus. What to expect: If you're a fan of truffles, there is nothing like the "Canelon de Can Gaig". There are incredible Catalan dishes that have acquired this restaurant a reputation and Michelin star in Barcelona. If you want to celebrate a big year with a small group, this is a great place to go. PS- their wine list is about 60 pages long! Where: Carrer del Taquígraf Martí, 32, in the charming district of Les Corts. 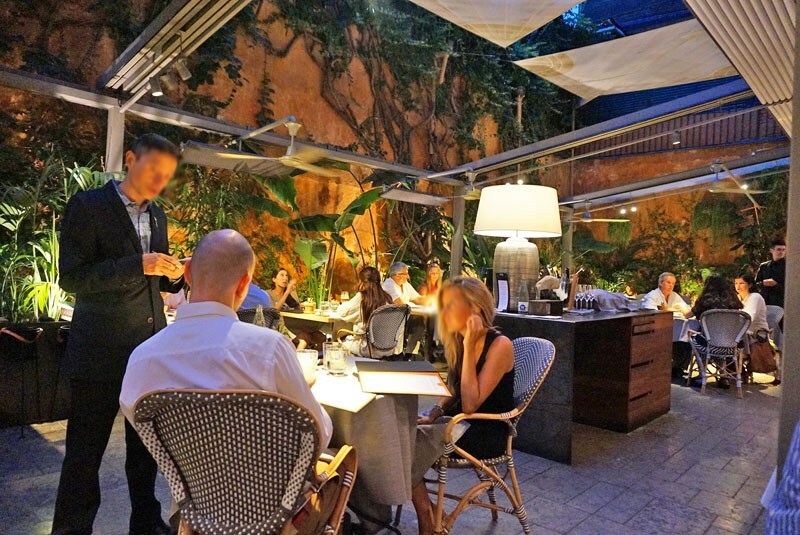 This restaurant is a perfect option if you're located in the business district of Barcelona near Diagonal. Call +34 934 08 88 40 to make a reservation. When: Their group menu for companies and groups is available all year round! How much: They have 3 different group menus to choose from. The most affordable is just 30€ per person, and each menu includes 6 different tapas to start, a main dish, dessert, coffee, water, and wine. The more expensive, the more elaborate the dishes are, such as sirloin steak with truffle potatoes. How many: The minimum for groups is at least 10. 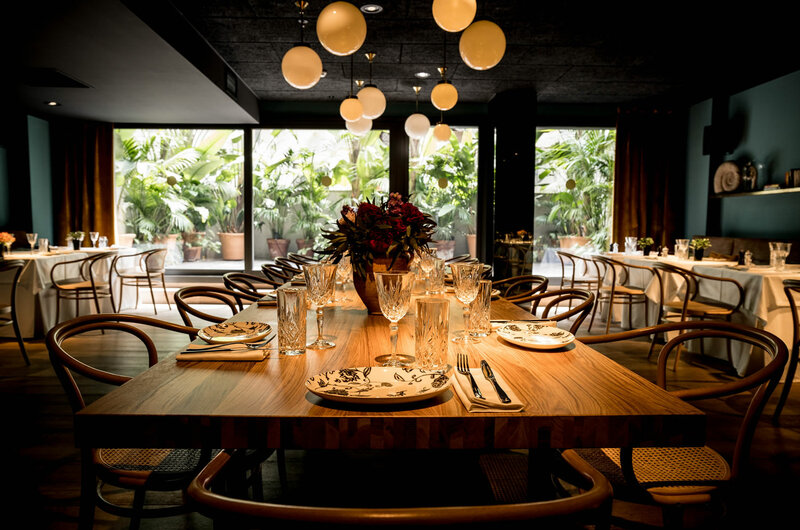 They have a perfect private room for groups of up to 12 which makes for an intimate Barcelona Christmas party setting. What to expect: Popeye offers a Mediterranean menu, with meat from Galicia, local fish, and fresh local vegetables. The service is quick, friendly, and efficient, and the decoration is modern but homey at the same time. Where: Av. de les Drassanes, 6, located just next to the Drassanes metro stop and the famous Rambles street. Call +34 936 31 35 90 to make your group dinner reservation or to inquire about their cocktail party options on their downstairs terrace. When: Their special tasting menu for groups is available throughout the entire year so you can enjoy at any time. How much: They have three different group menus, all available for 60€ per person. There are also more extensive menus for 75€ and 100€ per person. The drinks aren't included in these prices. 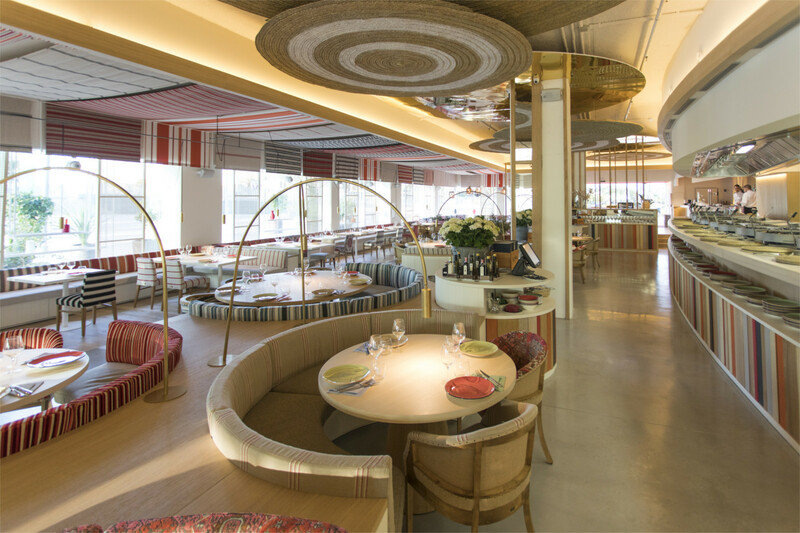 How many: The max capacity of Marea Alta Barcelona is 116 diners. The groups for these specific menus must be 20 people minimum. There's also the option to do a Christmas cocktail party! What to expect: This restaurant brings the market's freshest daily fish straight to your table. 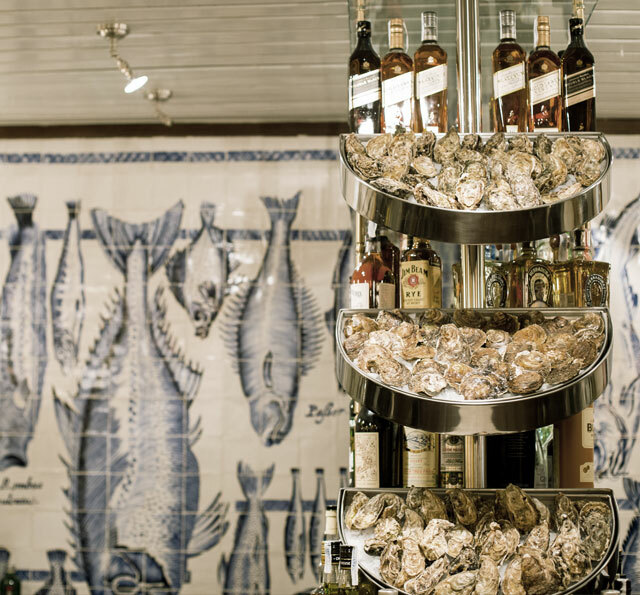 Their menu is composed of dishes that all feature speciality seafood dishes, from hake to cod to salmon. All of their dishes except for dessert, of course! 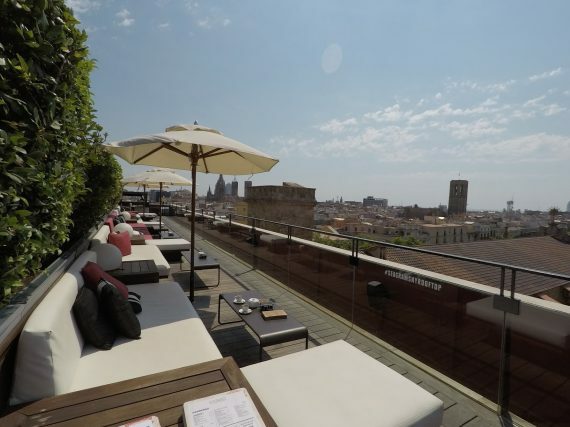 Looking for more epic rooftops for your next event in Barcelona? Check out these top 10! Where: Carrer del Parlament, 54, tucked away in the heart of the Sant Antoni neighbourhood. Carrer del Parlament is one of the trendiest streets in this lively area of Barcelona. Call +34 931 62 67 33 to make a reservation. When: Their Corporate Christmas Dinner Menu for groups is available until the 30th of December. How much: 45€ per person for the company menu, and their other group tasting menus from 65€ to 85€. The company menu comes with a starter, main, dessert, wine, water, and coffee. The tasting menus come with aperitif, 2 starter dishes, 1 main dish, dessert, wine, water, and coffee. How many: For the company menu, there is no minimum. For the tasting group menus, the minimum is 8 and the maximum is 30 people. What to expect: This gastrobar provides a wide range of Mediterranean, French, and Spanish dishes, as well as options for gluten-free and vegetarian diets. It's a modern and informal interior, making it the perfect place for a casual and exquisite Company Christmas Dinner in Barcelona. Where: Carrer d'Aribau, 186, in the heart of the the Eixample district, you can call +34 935 66 58 01 to make your Barcelona Christmas Dinner reservation. When: Their Christmas menu for groups is available from now until the end of December! How much: 28€ per person for 5 different dishes to share, dessert, a Christmas Caribbean mimosa, as well as beer, wine, or cava. How many: The minimum number of guests needed to enjoy this informal Christmas Dinner are just 2, and the maximum group size is 14 people. What to expect: The menu at this restaurant is a surprising mixture of different flavours, coming from all different corners of the Caribbean. Expect to try dishes like black bean dip, shrimp cocktails, yucca, and even Jamaican jerk chicken. Where: Carrer de la Mercè, 23, tucked away right in the heart of the Gothic neighbourhood. Call +34 680 60 58 35 to make your reservation today. When: Their special group menus are available all year. You can find all 3 options here. How much: For just 29€ you can enjoy 3 starters to share with your group, a main, and dessert. You and 3 other guests can split a bottle of water and wine. How many: Groups starting at just 4, and the maximum capacity for groups is 20. What to expect: Simple but tasty tapas, an excellent selection of beers, and some of the coolest bars in the neighbourhood just next door. Enjoy a relaxed evening with an intimate work group and let the good tidings come! Where: Carrer d’Aribau, 133, is where you'll find this unique restaurant. Call +34 666 338 590 to make your group reservation today. When: Jardinet d'Aribau has a special Christmas menu for groups available throughout the month of December, and group menus available all year. How much: Their group menus are just 25€ per person which includes 4 starters to share, a main, dessert, and a glass of wine or beer. How many: You can fit up to 100 diners in this restaurant! The minimum for groups is 8 people. 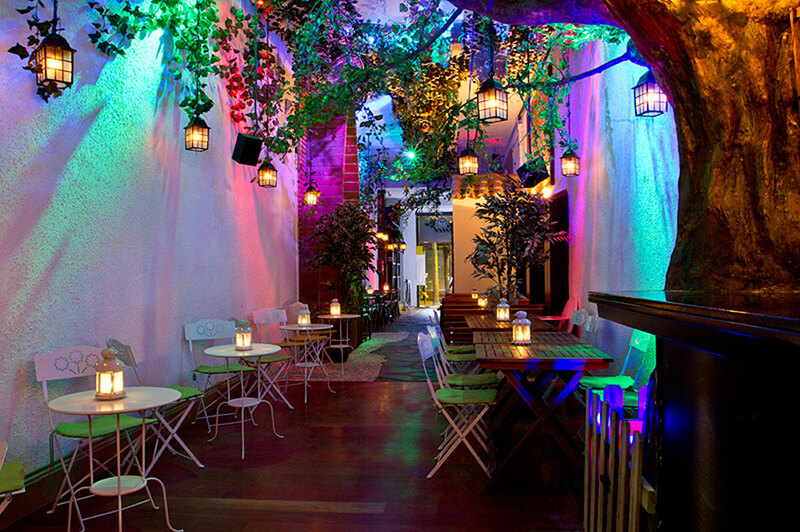 What to expect: From photocalls, to signature cocktails, not to mention an actual garden with trees inside, this restaurant has a little bit of everything. If you want to have an office Christmas dinner on a budget, this is a great option for you. Where: Av. del Litoral, 64, just a few steps from the beach and bordering the edge of the Vila Olimpica neighbourhood. Call +34 935 97 18 40 to make a reservation for you and your large group! When: Their special menus for groups are available until March when the seasonal produce changes. 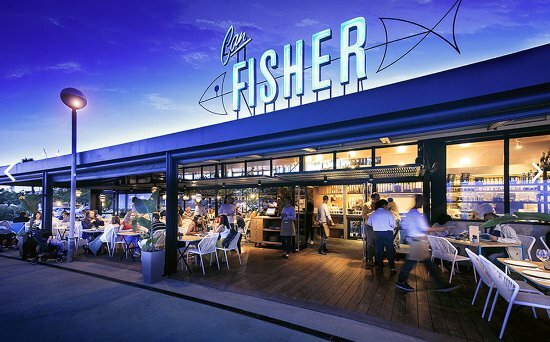 How much: There are 6 Can Fisher group menus, starting at just 39.90€ which includes 8 dishes to share including paella and local tapas, and dessert. The most expensive menu is 63.90€, and includes some of the freshest seafood such as oysters and squid, and octopus, followed by ribeye steak, and if you have room, dessert! How many: The minimum required to enjoy this menu is 15 guests. The maximum capacity of this restaurant is approximately 160 guests. What to expect: In Can Fisher you will enjoy views of the beach and sea, with wooden accents, and a gorgeous terrace with heaters that can be used all year. This is one of the most iconic restaurants along the beach of Barcelona. Where: Carrer de Muntaner, 152, tucked away near the Hospital Clinic area of Barcelona and just moments away from the Paseo de Gràcia. Call +34 937 97 87 02 to book your atypical Christmas dinner! How much: There are 2 Christmas menus for groups at Masala73. These menus include a drink, 3 starters, 3 big dishes to share, all with cheesy naan bread, and dessert for a sweet finish, for either 25€ or 30€ per person. How many: The minimum for groups for this menu is 4 people, and the maximum capacity for groups is 20 people. What to expect: This year, you and your team can enjoy an exciting flavourful trip to India for your Christmas group dinner without leaving Barcelona. Masala73 has been called the best Indian restaurant in the city. Will you and your team try it and find out for yourselves? 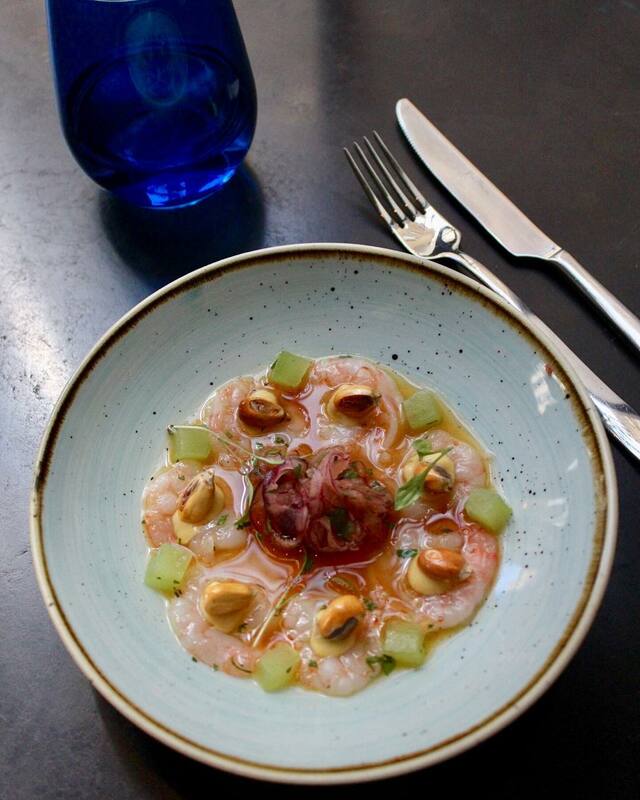 Where: Passatge de Marimon, 9, near the famous Barcelona venue, Luz de Gas, tucked away in a little side street. For an office full of refined foodies, this is a great opportunity. When: Their group and company menu is available until the end of December. Their group tasting menu changes every 3 months to maintain optimal seasonal freshness. 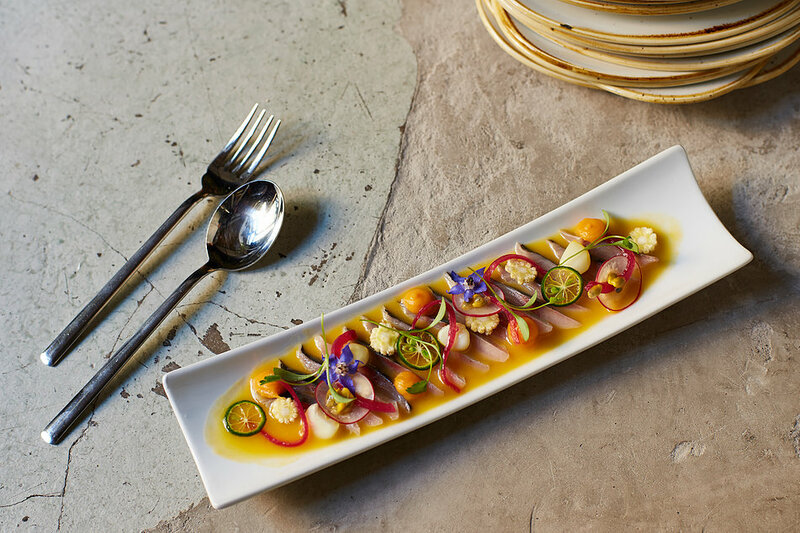 How much: Hisop provides 3 different tasting menus, all offering creative culinary dishes. The most affordable is 55€, and the most expensive is 75€, VAT not included. This includes water, coffee, and a carefully selected assortment of wines. 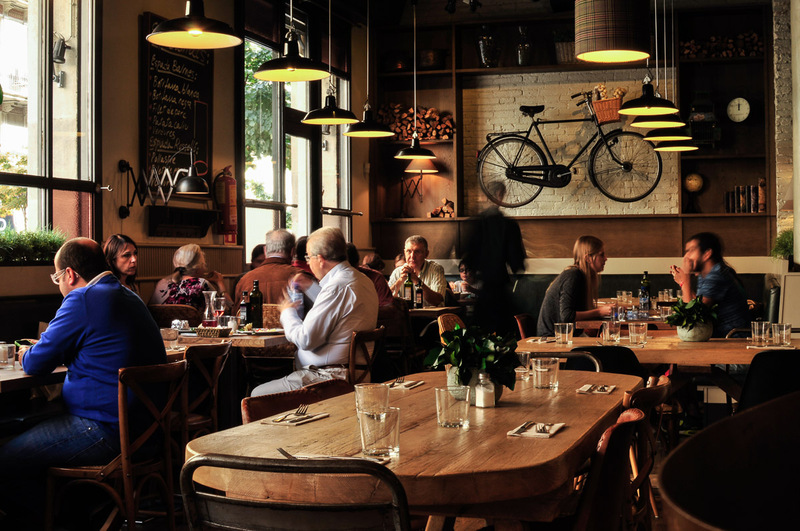 How many: The minimum number of diners is 9, and the maximum for groups is 38. What to expect: This Michelin Star restaurant headed by Oriol Ivern offers a tasting menu that you don't want to miss. You can let your palate wander as you try creative dishes such as sea urchins, horse mackerel, chanterelles, roast pig and more. 30.) Patrón Restaurant - Drink and be Merry! Where: Travessera de Gràcia, 44-46, just on the edge of the hip Gràcia neighbourhood and the business district of Barcelona. You can call +34 934 14 66 22 to book your team dinner. Hurry, they're almost full for the whole month! How much: Starting at just 58.20€ per person, you can enjoy appetizers, starters, a main, dessert, and wine, water, cava, and beer. You can find both their Christmas Dinner Menu and their Barcelona New Year's Eve Menu here! How many: The Christmas group menu is available for groups of 5 people minimum, and 30 people maximum. What to expect: If you're looking for a lively restaurant with a great wine selection and an enormous dinner menu, this is the place to go. Not to mention, if you want to kick off the new year in style, they have an amazing gala dinner prepared for you! 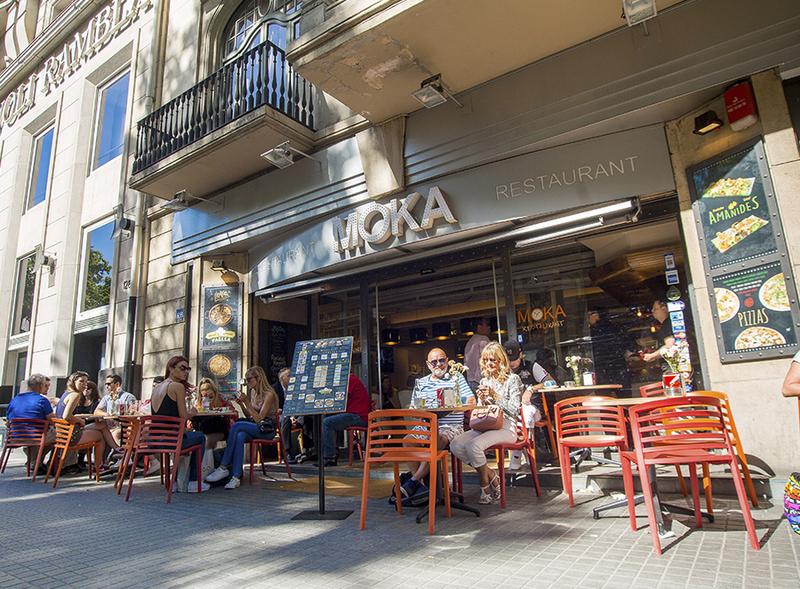 Where: Rambla de Catalunya, 23, on one of the most beautiful streets with a pedestrian promenade through the middle. Call +34 933 42 79 81 for a reservation. When: Their Christmas menu for groups is available until the 7th of January, 2019. How much: They provide 2 group menus, the first offering 6 typical Catalan starters to share, as well as a main dish, a selection of desserts, and drinks and coffee included, all for just 35€. The second menu offers a few more special starter dishes to share, like oysters, Iberian ham, and more, as well as the aforementioned menu for just 45€. How many: The minimum for a group reservation is 8. What to expect: This restaurant is located on one of the most famous and beautiful streets of Barcelona, La Rambla de Catalunya. 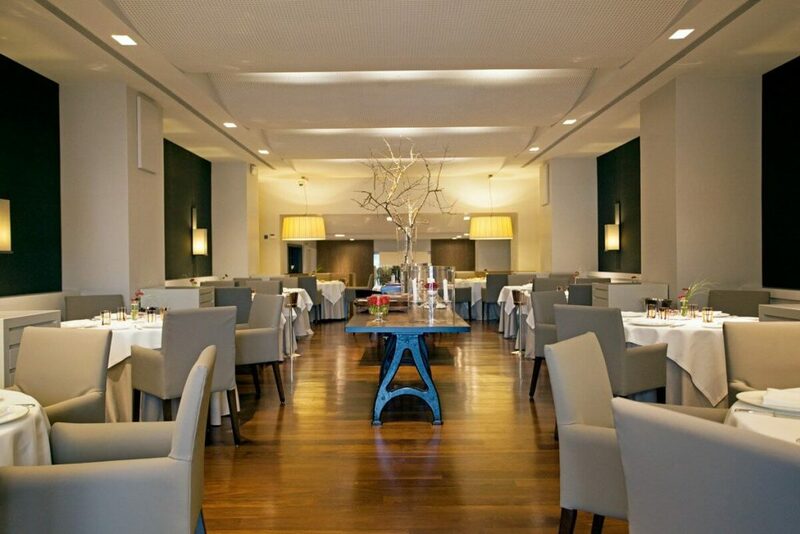 The spacious, modern, and chic interior makes for a great place to celebrate your Company Christmas Dinner in Barcelona. Where: Carrer de Còrsega, 286, just a stone's throw from the famous Paseo de Gracia. Call +34 932 37 75 88 to enjoy a wonderful group dinner or Christmas lunch! When: Their Christmas menu for groups is available on the 25th, 26th and January 1st, 2019. They also offer company menus all year, with a wide range of options, from aperitifs to complete 3-course meals. How much: For the Christmas menu you can enjoy aperitifs, a starter, a main, desserts, and coffee for 85€. For 53€ you can enjoy their group menu which includes the tapa of the day, salad, roast beef, dessert, coffee, wine and water included. You can find their group menus here. How many: In order to enjoy this menu, you must come in groups of 8. There are in total, 8 different spaces that you can use, with the maximum capacity being 62 in the Salon Rosselló + the terrace for 78 diners, letting you celebrate comfortably with 140 guests. What to expect: This fine dining restaurant will welcome you with impeccable service, some of the greatest modern twists on traditional Catalan dishes like "suquet", lamb stews, beef, grandma's special Catalan canelones, and more. Where: Carrer d'Enric Granados, 13, this charming pedestrian street is the perfect place to get into the festive mood for your Christmas Dinner Party. Call +34 931 16 98 62 to book your table. How much: This year Khaosan is offering 3 Christmas dinner menus for groups and companies in Barcelona. The prices are 30€, 35€, 40€ per person, including an aperitif, up to 7 different tapas to share, dessert, wine, water, and beer. How many: The minimum for groups is 8 people, and the maximum is around 50 diners. What to expect: If you and your team want to celebrate your Company Christmas Dinner party in an original way, try out Khaosan. You can enjoy typical dishes from all over Asia and the Mediterranean, such as Bánh mí from Vietnam, wontons, and tuna tataki with kimchi. Where: Carrer del Comerç, 1, located just next to the Arco de Triunfo, the Ciutadella Park, as well as the neighbourhood of Santa Caterina, this is your central go-to spot. Call +34 93 511 6661 to reserve your Barcelona Christmas Dinner! When: Their Christmas menu for groups is available throughout December until January 7th, 2019. How much: Their Company Christmas Dinner menu is just 42€ per person including a welcome glass of cava, wine or beer, 5 starters to share, a pasta, fish, or meat dish per person, as well as desserts, homemade Bailey's, limoncello, coffee, wine, and an open bar for an hour after dinner. Sounds like a steal to us! How many: The minimum number for groups is 15, and the maximum is 40 on the first floor, and 20 downstairs in the privée. What to expect: This cosy restaurant has gained a reputation as one of the most familiar places in the neighbourhood. They offer a wide range of dishes, from Southern American delicacies like fried green tomatoes, to traditional Catalan dishes like "escalivada" . Where: Carrer de Loreto, 30, just near the Diagonal street in Barcelona. 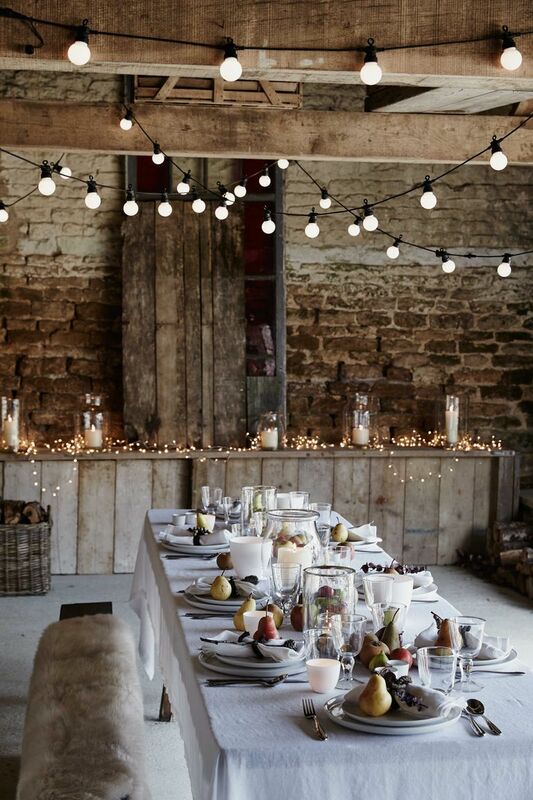 This small little nook is a cosy, casual option for a small team Christmas dinner. When: This Barcelona Company Christmas Dinner menu for groups is available for the entire month of December until the 6th of January. How much: This affordable small group menu is just 30€ which includes two starters, a main dish, dessert, coffee, and 1/2 bottle of wine. How many: The minimum for this group menu is 10, and the maximum capacity for groups is 50 people. What to expect: You can enjoy a cheap and tasty meal, a cosy atmosphere, and lovely service from Nina at Chambakú. This is one of the most affordable restaurants in the area and they also make great cocktails! Be sure to check out their interior patio. Where: La Rambla, 126, on one of the most iconic streets of Barcelona, you can call +34 933 02 68 86 to make your large group reservation. When: Their Christmas Dinner Menu for groups is available from the 1st of December until the 6th of January. 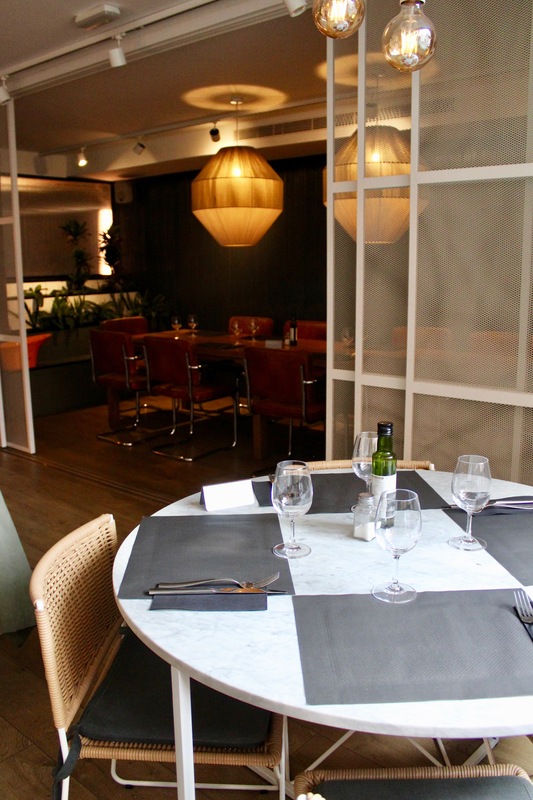 How much: There are varying menus, starting at just 25.50€ for their tapas sharing menu. Their traditional menu which offers an aperitif, starter, main, dessert, water, 1/2 litre of wine, and coffee comes in at just 33€ per person. How many: The maximum capacity to take up the entire restaurant is 200 people distributed among 3 different dining rooms. The top floor alone can fit a maximum of 100 people. 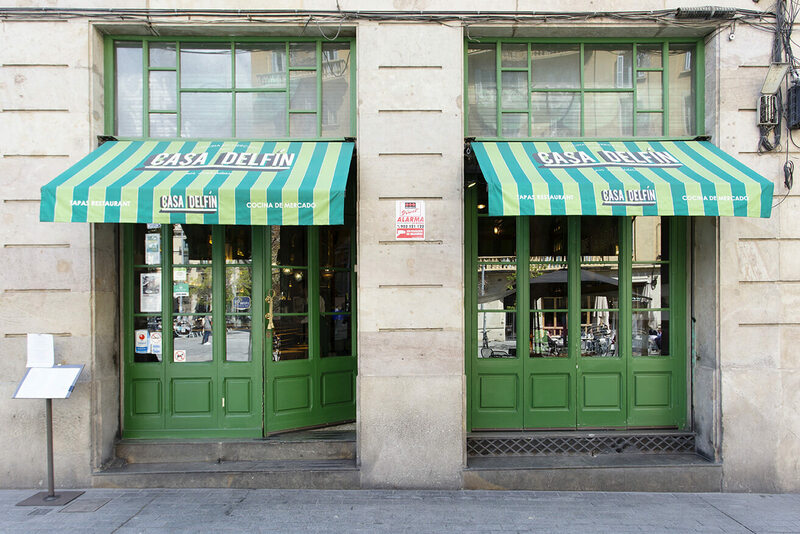 What to expect: This restaurant has been in Barcelona since 1934, and was reconstructed in 1987 to create a calming oasis in the middle of the chaotic Rambles. They offer typical Catalan dishes at an affordable price and for large groups. It's a perfect place if you're on a tight budget but still want to enjoy an evening out with your large company. 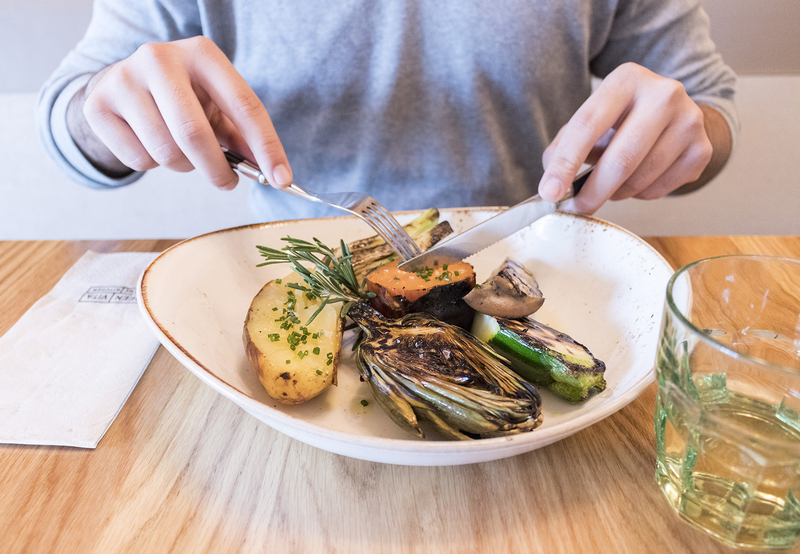 Where: Avinguda Diagonal, 3, in the Diagonal Mar Shopping Centre near the Barcelona Forum, this healthy and organic restaurant is a great option for those who follow specific dietary restrictions. Call +34 933 56 08 03 to make your group dinner reservation. When: Their menu for groups is available all year if you and your team don't have coinciding schedules and are struggling to agree on a date. Why not extend the holidays a little longer? How much: There are 3 different menus, starting at just 15,90€, with 4 different healthy starers to split, a main dish to choose, and a drink. For 23,90€, you can enjoy a delicious healthy dinner with 5 different starters to share, a main dish, and a yummy dessert, as well as drinks including organic wine! How many: The minimum number of diners need to be at least 8 to be able to enjoy the group menu. 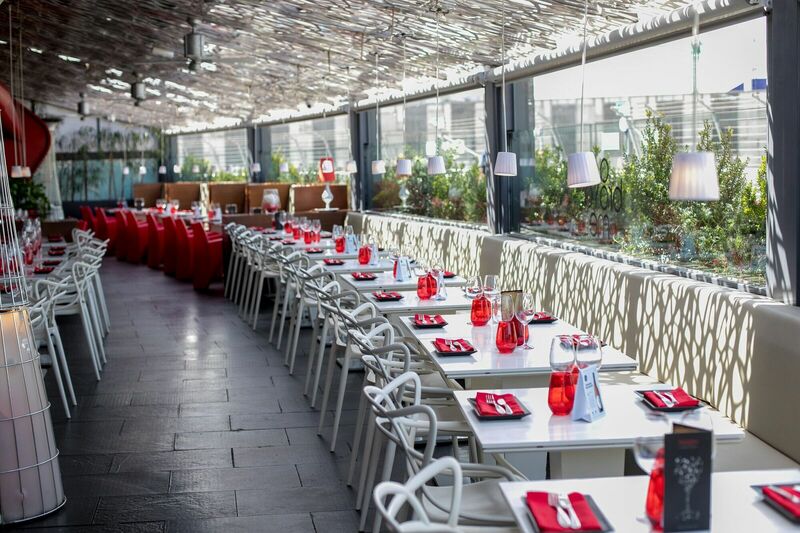 What to expect: Located in the Diagonal Mar Shopping Centre, this restaurant is spacious, comfortable, and well-decorated. All of their products are carefully chosen, with organic and locally-sourced ingredients. Their goal is to provide healthy, flavourful, affordable meals. Where: Via Augusta, 45, located in the centre of the business district in Barcelona, call +34 931 18 45 51 to book your team Christmas Dinner Party here! When: Their Christmas menu for groups is available from now until the end of January, just in case your schedules don't coincide before the holidays! How much: They offer 3 specific business dinner menus for 32€, 37€, and 42€, with a selection of aperitifs, starters to share, a main to choose, as well as dessert, and unlimited drinks during dinner. How many: Groups can start at 8 people, and the maximum group size is 45. What to expect: Bdgust is famous for its cocktails, yes, but it has gained a reputation for some of the freshest tapas and healthiest dinner options in the city. They work with high quality, local, fresh ingredients, and are dedicated to customer service. Where: Carrer de la Diputació, 200, in the heart of the Barcelona Universitat district. Call +34 937 63 60 27 to make your Christmas reservation. 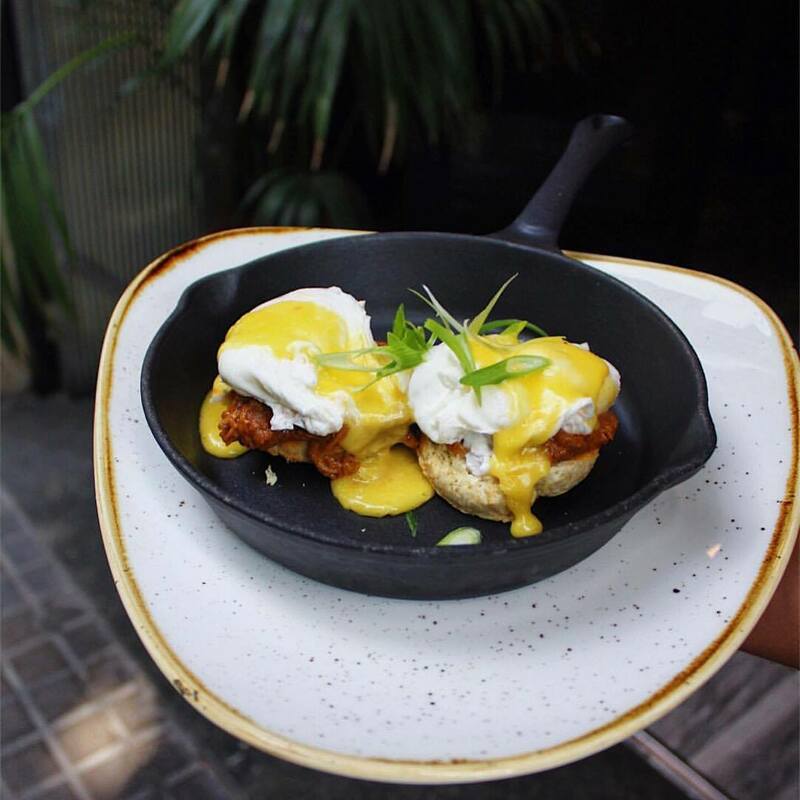 PS- You can also make a reservation to enjoy a Barcelona Group Brunch menu! 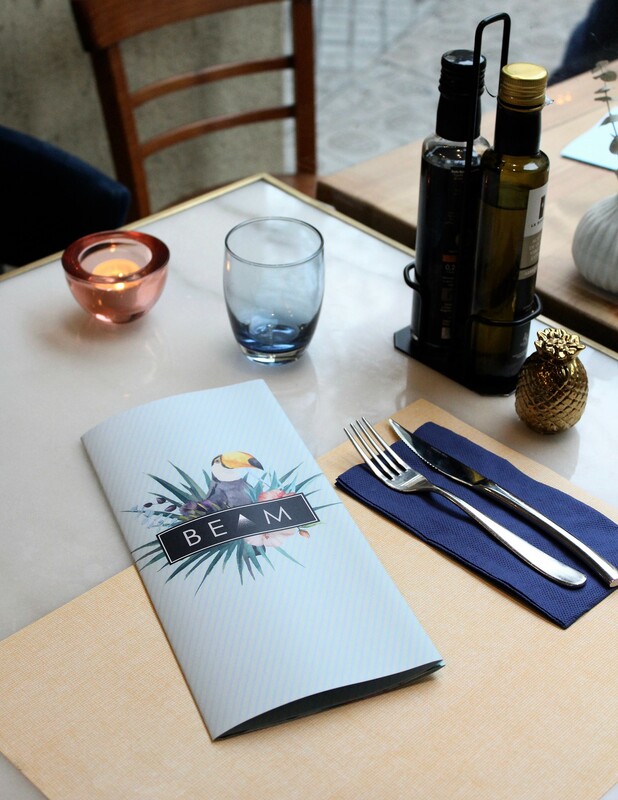 Why not try something different this year for Christmas and take your company to brunch? When: Their Barcelona Company Christmas Dinner menu for groups is available until the 23rd of December. How much: They offer 2 Christmas menus, both including a starter, main, and dessert, as well as bread, water, wine, and coffee. The first menu is 23.50€ and the second is 26.90€. For an affordable, wholesome meal, this is an excellent option. How many: The maximum capacity of the restaurant is 45 in total, but for groups of just 40 you can have the restaurant to yourself! What to expect: There is a heavy Mexican and Brazilian influence in this multicultural restaurant. The options are creative, healthy, apt for all diets and allergies, and they even have traditional vegan dishes from Brazil, like Bobó, made with yucca and coconut milk. Where: 36, Passeig del Born, located on the most famous street in the Born neighbourhood of Barcelona, call +34 933 19 50 88 to reserve your Christmas Dinner Menu. When: Their Christmas menu for groups is available from now until the 6th of January, 2019. How much: For either 30€ or 40€ you can enjoy a Christmas Dinner in the heart of the city, with starters (6-8 depending on the menu you choose), a main course, dessert, water, and wine included. How many: The maximum number of diners per group is 30, but if you want to rent out the entire restaurant for your team, 90 is the max capacity. What to expect: If you want to enjoy an evening with a medium to large group, this is a great central spot for you and your team, especially if you want to keep your Christmas dinner party casual! Where: C/Trafalgar 30, Interior, located inside the gorgeous Yurbban Trafalgar Hotel. Call +34 933 93 92 08 to reserve yourBarcelona Company Christmas Dinner. How much: For either 35€ or 45€ you can enjoy a Christmas Dinner in the heart of the city, including a main dish, desserts, bread, water, unlimited wine, special Catalan nougat and "neules", as well as as a welcome glass of cava. How many: There is no minimum number to enjoy this special menu, all are welcome! The maximum number of diners per group is 45, which will leave the whole restaurant for you and your team! What to expect: This new restaurant has just opened this year, sporting a stylish interior design cosy furniture, and beautifully presented dishes that will excite your team. After dinner you can enjoy more drinks on their interior patio with your team! Looking for more local secret spots in Barcelona? Get in touch and let's talk about your upcoming corporate event!​ Call us at +34 931 78 53 00, we'll be happy to chat. Happy Christmas from our company to yours!